It’s rainy around these parts, and while I usually enjoy my frequent visits to the local open air farmer’s markets, today I ventured to my neighborhood supermarket. Boy, am I glad I did! While I perused the deeply-hued kale leaves and the mountains of vibrant citrus options, something in the opposite end of the produce section caught my eye. Nestled between the over-sized Mexican papayas and Macaw-colored mangoes sat one of my all-time favorite fruits on this planet. I nearly crashed carts with an elderly man on my mad dash to the cherimoya finish line, as I couldn’t believe my eyes. Cherimoya season usually doesn’t start for several more months, but there, before me, stood a stack, begging me to take them home. Far be it from me to deny the little artichoke-shaped buggers their true destiny, I scooped a few, and gently placed them in my cart, like the precious gems they are. 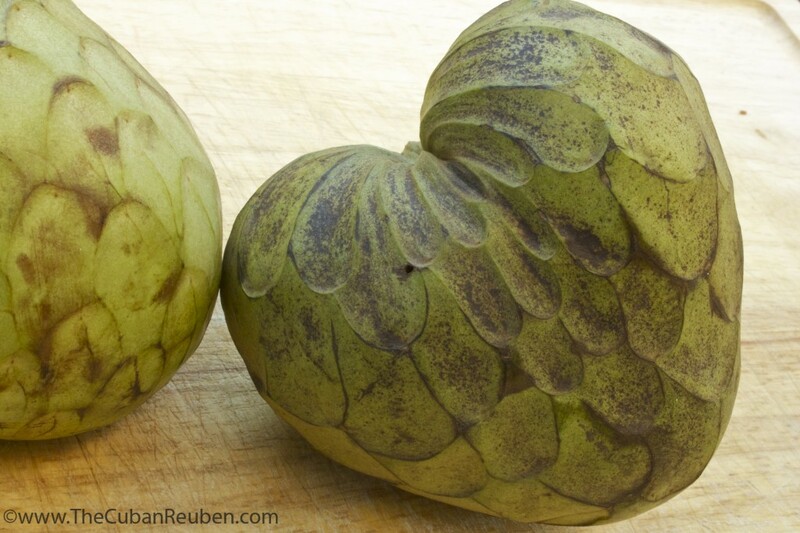 It’s true that the cherimoya is like the ugly duckling at a high school dance, constantly getting overlooked for its more popular tropical fruit cousins, but don’t let its aesthetically unpleasant exterior fool you. Once sliced in half, what hides beneath the chartreuse casing is nothing short of a gift from mother nature. What looks like an unassuming outer shell gives way to the silkiest, most creamy fruit that tastes like a week in Jamaica. And while disposing of its hefty seeds can be a bit bothersome, the custard flesh is worth the tedious spitting. At room temperature, chilled in the refrigerator (my personal favorite), or frozen, there is no wrong way to partake in this indulgent treat. 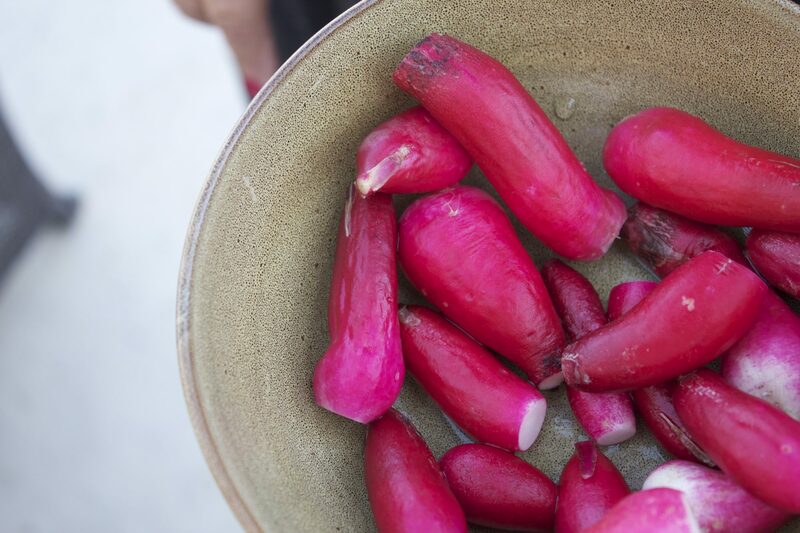 Plus, as an added bonus, many varieties are heart-shaped, and with Valentine’s day quickly approaching, it could be a satisfying alternative to the more decadent fare. 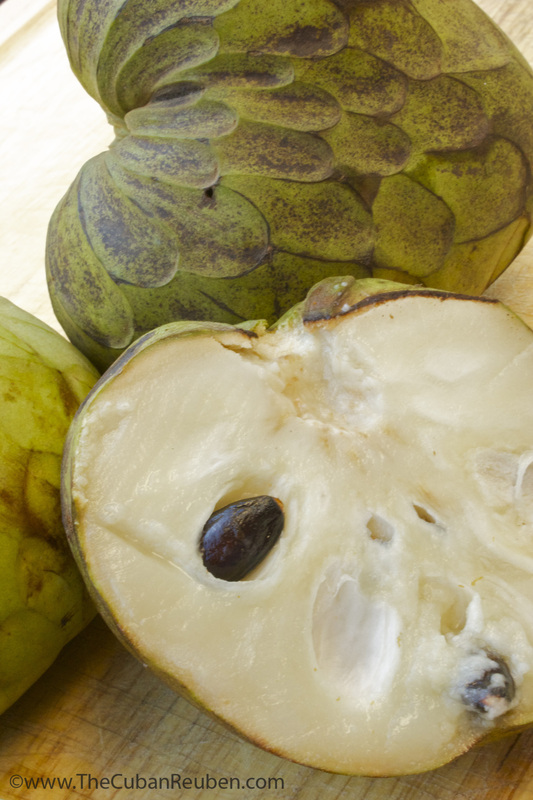 Do yourself a favor, and take a cherimoya for a spin. After all, it’s the inside that counts. Can these be frozen, Jenny? I have to buy them mail order–not many exotic fruits in Wisconsin. I’ve never put them in the freezer for more than a short period of time, so I am not positive. That being said, I don’t see why you couldn’t. If nothing else, you can scoop the flesh out, and freeze that, which should save you the hassle of trying to do it when it is rock solid. I imagine that the frozen custard would also make for delicious smoothies and milkshakes. Let me know how it turns out! Also, please share your source, as I’m sure my other Midwestern readers would love to know. Going to give this a try. Hope it works and I will definitely try your idea for smoothies. 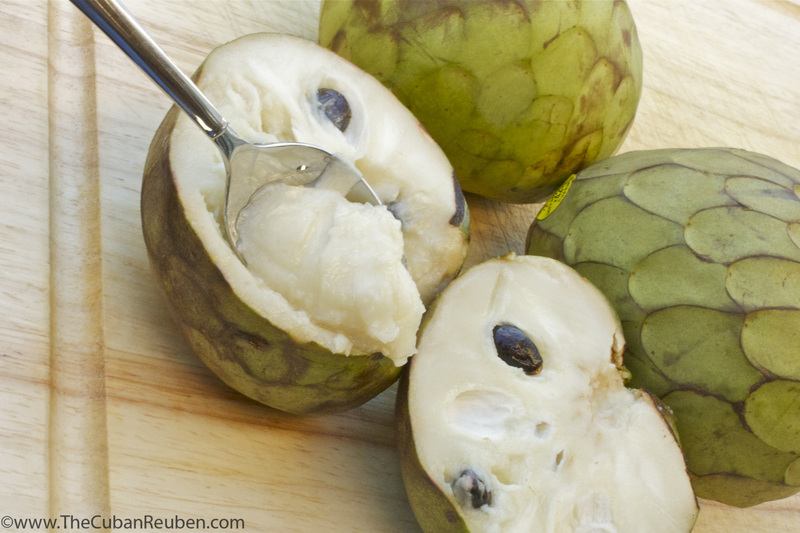 Will freeze a couple of the cherimoya and see how it works! http://southcoastorganic.com/Page4.html This is the page to order. Wish me luck! And thanks again. Best of luck to you! Let us know how it goes. Jane, you inspired me to conduct an experiment. I just sacrificed one of my precious whole cherimoyas, and stuck it in the freezer for a couple of days. I’ll let you know how it tastes. I’ve only frozen them for about an hour at a time to get that frozen custard feel, but this will be a new experience. I know for certain that you can freeze the meat, but I am trying out freezing a whole one. Will check in with you later. I have an update for you. Looks like there is a bit of trouble with freezing them whole. You won’t be able to slice them in half unless you thaw them for a bit of time (which requires serious patience). So… here’s my official recommendation: Either store for a couple days in the refrigerator, or freeze the meat only, rather than the whole fruit, unless you have the patience and time to wait for it to thaw. Thanks, Jenny. I think that freezing the meat only is the solution. I am going to order the 6-7 lb. box from the supplier and see how it goes.We will probably eat them all so fast, I won’t have to worry about keeping them for a long time. I cannot wait to taste them! Next year we will just have to plan to be in CA when the season starts! Thank you for all of your help. Great to hear about your adventure in the supermarket and finding cherimoya at this time of year. I enjoy them in a cherimoya shake. They are fabulous!